Electronic Delay Storage Automatic Calculator (EDSAC) was an early British computer. It was made by Maurice Wilkes and his team at the University of Cambridge Mathematical Laboratory in England. 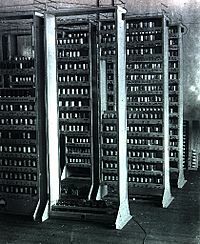 EDSAC was the first stored-program electronic computer. It was also the first to run a computer game. Later the project was supported by J. Lyons & Co. Ltd., a British company. 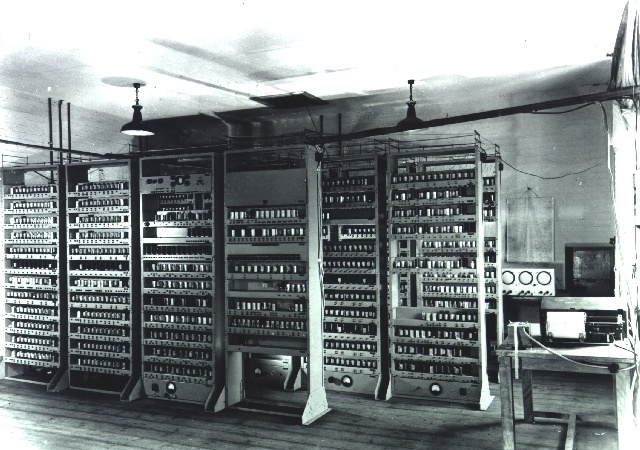 They were rewarded with the first commercial computer, LEO I. LEO I was based on the EDSAC design. EDSAC ran its first programs on 6 May 1949, when it calculated a table of square numbers and a list of prime numbers. Electronic Delay Storage Automatic Calculator Facts for Kids. Kiddle Encyclopedia.